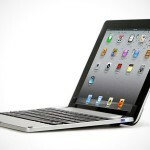 just when we thought the ZAAG/Logitech keyboard case for iPad 2 is cool, we stumbled upon yet another cool keyboard case. 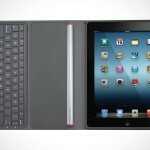 if you think the Logitech item makes your iPad 2 looks like a MacBook, then the Aluminum Keyboard Buddy Case for iPad 2 takes it up a notch by making your iPad 2 looks like a MacBook Air. 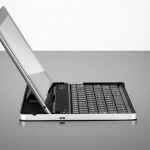 having a keyboard case to go along with the iPad is uber-cool but to have it in aluminum and thin form factor is way much cooler, and it is touted to “give your device durable protection, added functionally and style.” we certainly has no argument over the latter two points but how is going to protect your iPad 2 is all together another matter to be scrutinized further. i guess it doesn’t matter much if it looks this good, does it? you can get yours for just $49.90 from M.I.C. 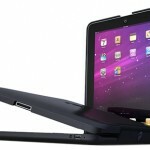 Gadget store. 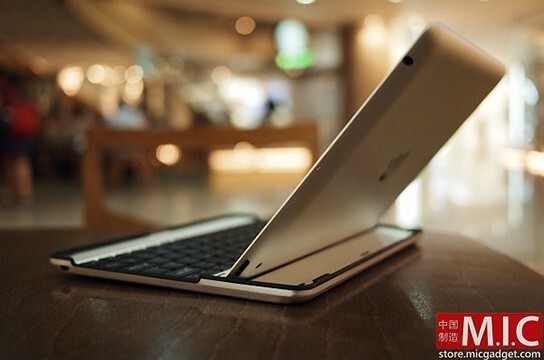 it’s beautiful and it cost significantly less then most of the keyboard cases in the market, so what’s not to like about it? check out a short product video after the break.